Visit NATA official website. Click on New Registration. Enter personal details and contact information. Click on the submit button. Enter user ID and password. Click on login button. Pay the application fee and click on submit. Take the printout of submitted application form for further use. 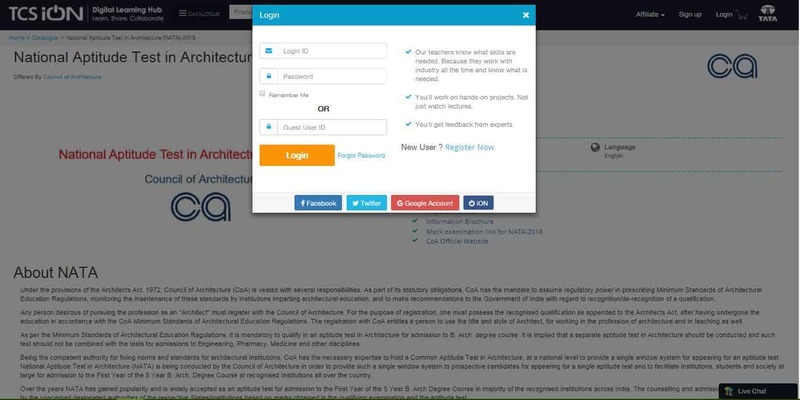 Application Form: Council of Architecture (COA) has released the NATA application form 2019 for both attempts on 18th January 2019 in online mode. Candidates can fill the application form of NATA 2019 online from the official website. Registration: Candidates can register themselves by clicking the Register button on the application form available from 18th January 2019. Details: Candidates who are eligible for NATA 2019 should enter their personal details such as Name, Email ID, and Mobile Number etc., to register on the NATA official website. Verify: The confirmation notification will be sent to candidates registered email ID and Phone number. 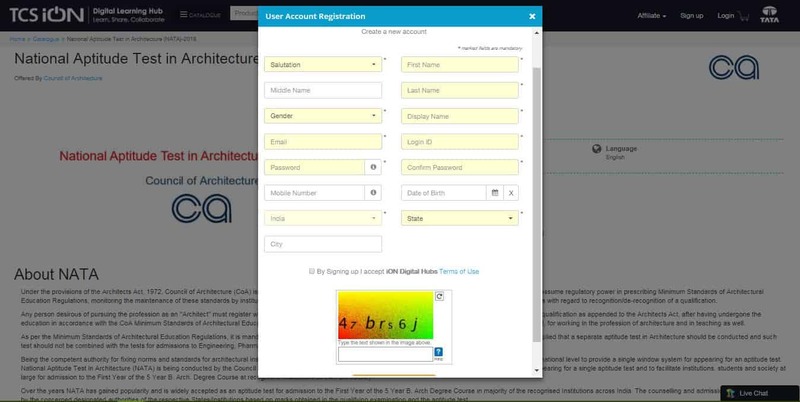 The user can then log in to fill NATA 2019 Application Form. Step 3: Fill up Application Form. Step 5: Print Application Form and Fee Receipt. Official website: Candidates are required to visit the official website of the NATA 2019 examination and click on Register button. Registration: The candidate has to click on Register now button if he/she is applying for the first time. Filing Up Registration Form: The candidates are required to fill details like Name, Date of Birth, E-mail ID, Phone Number, etc. The applicants have to create a strong password. After entering the required details click on the "Sign up" button. 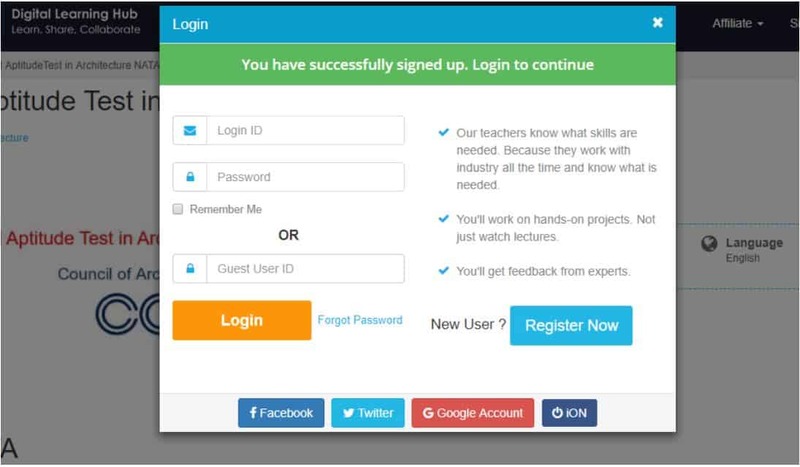 Login: After signing up, the candidate will be redirected to the login page as shown below. Click on Login and enter the credentials you have provided while registering theNATA #yea r Application Form. Apply for NATA Application form 2019: After logging in, click on apply for NATA 2019 to fill the application form. Fill up the NATA application Form Process: Candidates need to fill the application form by reading the note carefully given in the application form. Sample Values are provided in the screenshots for your understanding. Declaration: Candidates should read the declaration, check all the boxes and click on apply. After applying, the candidate will be redirected to the homepage where he/she can view the details of the application. Latest photograph: A recent photograph of the candidate should be uploaded. Clear thumb impression: Left Thumb Impression (LTI) should be very clear. It should neither fade nor be submerged with ink. Candidates signature: Candidates need to upload the scanned copy of their own signature. Format: Documents have to be in jpg/jpeg format. The document size should be in A4 size format. When we can expect the rank list and how we can apply in the colleges for admission? To get admission in the college you have to qualify the exam. click here, to know the process. Can I pay the NATA application fee through online mode? Yes, candidates can pay the NATA application fee through online mode. What is the mode of payment for NATA exam 2017? Where would I get the application form for NATA exam 2017? The candidates can receive an application form from the official website of NATA—www.nata.in.